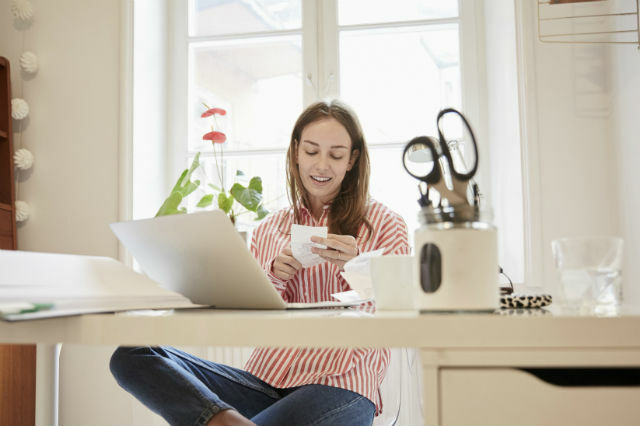 Savings plans get a whole lot easier when you set a budget and stick to it. Save cash, live greener and be healthier with easy-to-implement meal plans. Meal planning can be a helpful way to save money. You don’t have to be a chef at a AAA Diamond Rated restaurant to learn how to cook up meal plans that can save money. Budget-conscious shoppers swear by seven-day meal plans as a cheaper and healthier alternative to eating out. As an added bonus, sticking to meal plans means you’ll increase your savings and live greener because you’ll likely lower the waste you produce. The purpose of planning your meals is to limit eating out and use what food you have in your refrigerator, cupboards and pantry to cook your breakfast, lunch and dinner. Whatever else you need for specific meals, you’ll buy at the grocery store. But not before you fastidiously plan out your meals for the entire week to make sure you only buy what you’ll use. The secret to success is in the planning. That means no more wasted leftovers and no more last minute sodium-rich Chinese takeout at work because you forgot to pack a lunch. Sounds simple, right? Now you can start prepping. Head to the grocery store to plan for meals. Whether you’re a great chef or a microwave cook, anyone can stick to meal plans. The hardest part is the planning process, which will require some time to formulate a calendar, recipes, and a shopping list. There are various ways to organize your meal plans. To start off, figure out what will work best for you and your family. If you’d prefer using your smartphone, there are numerous free meal plan apps to download like Pepperplate, which has a database of recipes. The app allows you to import recipes, build meal plans and create shopping lists. The Mealime app is another digital meal plans option that lets you build grocery lists based on your food preferences and allergies. It also has a cooking mode app that stays active so you can follow a recipe while you cook. Of course, the old paper and pen method is also effective. Create a grid with the days of the week in separate rows on the left side of the paper. In columns, list breakfast, lunch and dinner. Plan out what you’ll eat everyday of the week for each meal. For example, do you already have cereal or oatmeal that you can make for breakfast? Plug those meals in. Do you have plans to eat out with friends? List any birthday parties coming up this week or free lunches at work. Once that’s filled out, you can move to the next step. 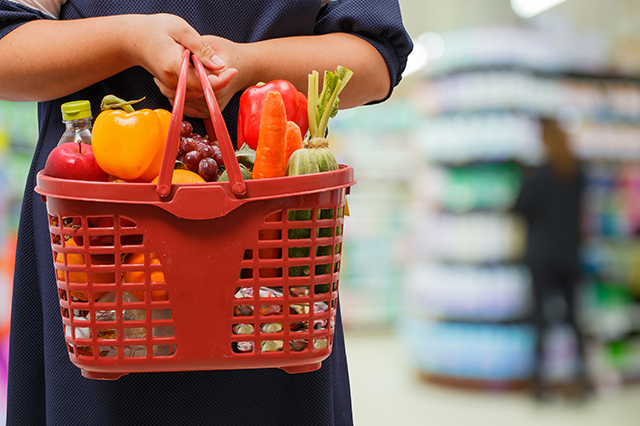 Before you hit the grocery store aisles, figure out your savings goal. What’s your food budget and how much of a savings are you looking to get from meal planning? Also browse your bank records to see what you usually spend on a weekly basis eating out, grabbing coffee and purchasing groceries. Where can excess spending be cut? With an idea of your typical spending habits, figure out your savings target. Taking into consideration the number of people in your family, what’s realistic to spend on meals per week or per day? 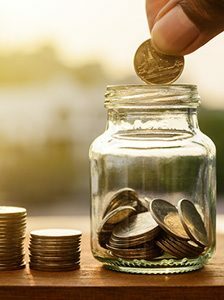 Having a savings goal will help you stay on track. Maybe you are saving for a Hawaiian vacation, a new TV, or perhaps you simply want to increase your personal savings. To give you an idea of what you can realistically live off, consider this: A single male and female between the ages of 19 to 50 years old can live off a thrifty meal plan between $37.90 to $42.80 a week, according to the USDA. And a family of four can budget and create nutritious meal plans that cost between $129.40 and $148.30 a week. With your meal calendar filled out, now you can create your shopping list. Don’t get overly ambitious cooking. Opt for recipes that you know you’ll have time to make. There’s a treasure trove of cheap and fast recipes available online from roasted chicken and vegetables to walnut lentil patties. It’s time to go shopping after you’ve completed your meal calendar, downloaded your recipes, and written out your grocery list. Make sure you don’t shop on an empty stomach and buy things that aren’t on your list. Also be sure to find coupons and sales that can boost your savings. Check your meal planning apps to see if they offer information about store or manufacturer coupons. By implementing meal plans you’ll contribute to your saving and limit your waste. Americans created 254 millions tons of trash in 2013 and recycled about 34.2 of that, according to the U.S. Environmental Protection Agency. With meal planning there’s no more tossing out spoiled leftovers or takeout containers. 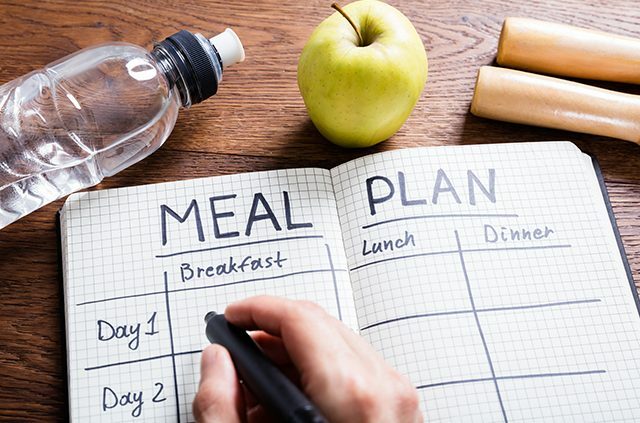 Creating meal plans can also help you lose weight. When you prepare meals at home, you’re more closely monitoring your salt, fat and sugar intake. Weekly meal plans are is essentially a diet plan that also saves cash. How’s that for an incentive to start meal planning? Have a go-to cheap dinner recipe? Had any success with meal plans of your own? Share your story with us in the comments section below. Article tags: AAA, aaa diamond, aaa diamond rated, apps, diet, dinner, eating out, food, home, lose weight, lunch, personal savings, save, savings, vacation.